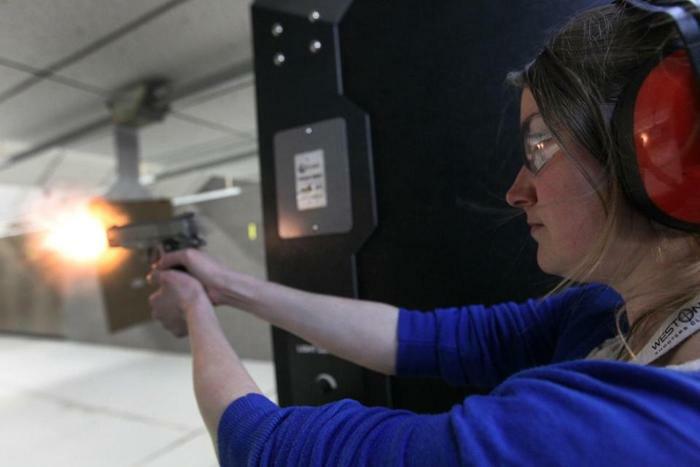 Rebecca Hart practiced shooting last week at the Weston Shooters Club, where she serves on the club’s board. Victor, Leo and Becca were featured prominently in a story in the Globe today on an uptick in gun permits. A lot of the increase has to do with the licensing law changes, but WSC was showcased as an example of more people taking interest in the sport of shooting.